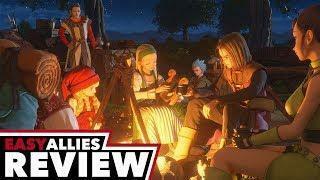 Dragon Quest XI is a sprawling adventure filled with incredible warmth. Due to licensing restrictions, we cannot include music from Dragon Quest XI without the associated gameplay. Square Enix representatives recommended including the clips picture-in-picture to accommodate this restriction.